Town and Country MarineRecord Owner? Log in. Building relationships and offering quality products just makes good sense, and that is why T & C Marine is regarded as one of the largest single source dealers in Eastern Ontario today! Whether you are looking for bowriders, deck boats, ski & tow boats, utility boats, luxury cruisers or pontoon boats all powered by Mercury Marine, as boaters we have tested each and every model! Our over all commitment to being here for you is clear. With over 8 acres of secure property, 20,000 sq ft of showroom, service facility and office space, we ensure the family boater that we are dedicated to creating a long lasting relationship. 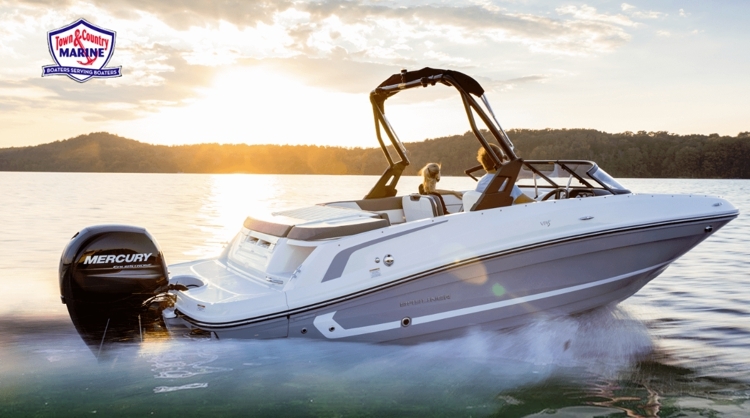 We hope you will visit our displays at boat shows, visit our website, tcmarine.com and come in to our showroom to meet our dedicated boating staff and find the right boat for you and your family this summer. Have something to say about Town and Country Marine?